Always known as Pondicherry, this Union Territory of India, changed its name to Puducherry in September 2006. Located in Tamil Nadu, Puducherry lies in the southern part of the Indian Peninsula. Owing to its historical connection with the French (Puducherry had become a French colony as part of the French Colonial Empire way back in 1674) this city was designed, based on the French grid pattern and has perpendicular streets. You can see a heavy French influence in one half of this town, where houses and villas are designed in the French colonial style with long compounds and stately walls and streets still retain their French names. Even restaurants list their menus in French alongside English and there are quite a few monuments retained from the French period. The other half of the city is more Indian where houses have attached verandahs, large doors and grills. 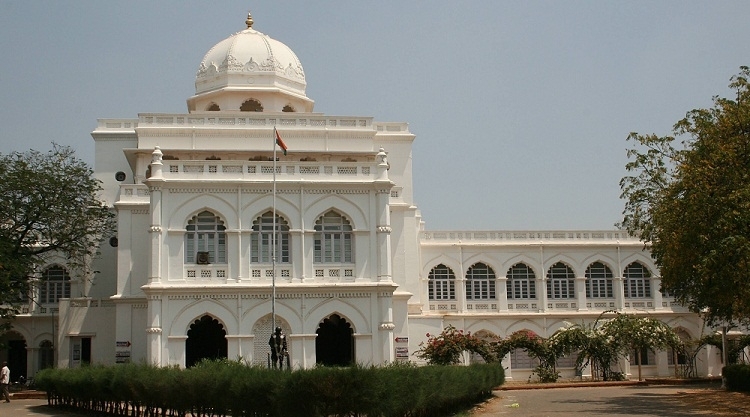 Due to this unique mix of cultures and features, Puducherry is a favourite tourist destination for both national and international travellers. The best time to visit is from November to March, when the weather is really cool and pleasant and not warm and sticky. By Air : Puducherry Airport can only accommodate small aircrafts and has flights coming in only from Bengaluru and Hyderabad. The other nearest domestic airport is at Chennai and has flights coming in from all the major cities. One can hire a taxi from here to reach Puducherry. By Train : The nearest station to Puducherry is at Villupuram and has trains coming in from cities major cities like Delhi, Kolkata, Mumbai, Chennai and Trivandrum. Cabs can be hired to reach Puducherry, 35 km away. By Bus : Several state-owned and private buses offer services from Chennai, Bengaluru, Thanjaur and Madurai to Puducherry. You can log on to www.abhibus.com and check availability of services from your city. Though this city has a lot to offer and experience, here are a few amazing places that one should not miss, while in Puducherry. This beach in Chunnambar is a beautiful isolated beach which can be reached in about half an hour from Chunnambar Boat House by taking the ferry across the green backwaters, through thick mangrove forests. Just getting to the beach in the wonderful ferry is a delight in itself, as the ride across the backwaters is scenic and one can enjoy the beautiful bird-life that is abundantly visible here. 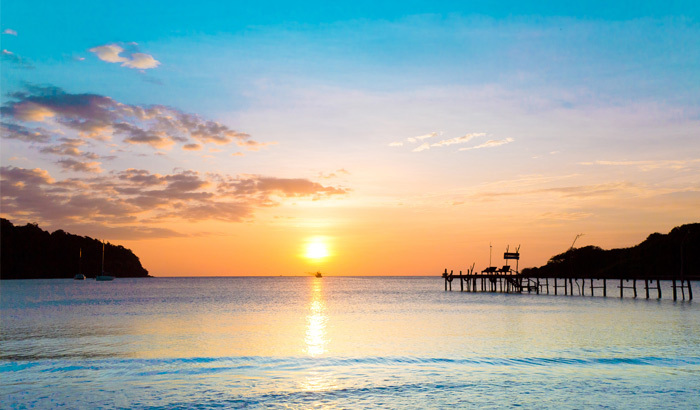 The really soft, clean, golden sand of the beach is inviting and one can enjoy the peaceful waves and beauty of the morning sunrise for hours. The currents in the water are strong and so it is not advisable to swim deep into the sea. Water sports like jet-skiing, canoeing and kayaking are available, depending on the nature of the sea on that day. You can also enjoy a spot of fishing as rods and nets are readily available or induge in some beach sports like beach volleyball, football or cricket. However, one needs to be vigilant about the ferry timings back to the city, as you should leave the beach before sunset. 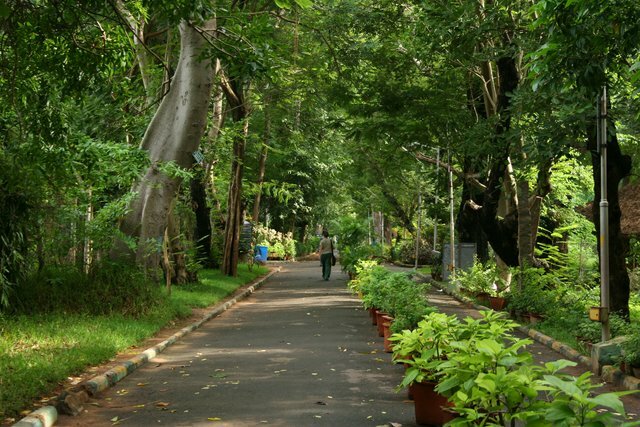 Located at a distance of 1.5 kms from the Puducherry Bus Stop, this garden exhibits an amazing variety of exotic and rare plants collected from around India and across the world and is beautified with lovely pruned trees, flower beds and water fountains. It also houses an interesting aquarium which contains a varied collection of aquatic and marine organisms as well as fish flora. One can also learn about the various fishing methods adopted in the coastal areas, which is exhibited here. The garden is divided into 28 plots, each done in a different theme. The other highlights include a delightful children’s toy train, musical fountain and a Japanese rock, making this botanical garden a very popular tourist attraction. Situated in Eastern Puducherry near the Bay of Bengal, this ashram was named after philosopher and poet, Sri Aurobindo Ghosh from Kolkata who laid the foundation for it, together with Mirra Alfassa (the Mother) in November 1926, with the aim of helping people attain freedom from conflict, eternal bliss and inner peace. One of the richest ashrams across the globe, with no branches anywhere else, it is visited by tourists from all over the world to attain spiritual knowledge and for spiritual development. Currently, the ashram houses over 1000 devotees, about 500 students involved in their free progress school, approx.. 1300 patients at their nursing home, library facilities, a printing press, an art gallery, playground, dairy, farms and guest-houses. Despite this huge crowd, the atmosphere prevalent is very peaceful and spiritual with everyone going about their tasks independently. Timings: 8 am – 12 pm and 2 pm – 6 pm. This popular beach stretching out 1.5 kms long, is located at a distance of 3.5 kms from Puducherry bus station along the coast of Bay of Bengal. This rocky beach has benches and a wide pavement/ promenade for morning and evening walks and is situated near Goubert Avenue, which is the historical section of the city and exhibits plenty of beautiful colonial buildings. Due to the presence of many historical monuments and buildings like the War Memorial, statues of Mahatma Gandhi and Jeanne d’Arc Dupleix, the old lighthouse, the old customs house, the Town Hall, remains of the old pier and rocky nature of the beach, this place is given different names like Rock beach, Gandhi beach, Promenade beach and Pondicherry beach. It is a very lively place with plenty of people walking, jogging, doing yoga during the mornings and skating, playing volleyball and swimming during the evenings. This is a planned city with a difference, created and founded by Sri. Aurobindo and his disciple Mirra Alfassa (known as Ma), as an experimental township where people from all over the world with different cultures can come and live together in peace. Located at a distance of 13 km from Puducherry, Auroville (also known as ‘City of Dawn’) promotes unity and equality among humans, welcomed from all over the globe, irrespective of caste, creed, colour and nationality. They are encouraged to live together and pursue education, culture and spirituality. The spectacular 100 foot high, gold encased spherical structure located in this town is the Matrimandir (temple of the divine Mother) which contains an exquisite meditation centre made of white marble floor and walls. There are twelve gardens, lakes and an amphitheater. One can also enjoy the café here and shop at the boutiques. Timings: Weekdays – 9.30 am to 12.30 pm & 1.45 pm to 4 pm; Sundays – 9.30 am to 12.30 pm. 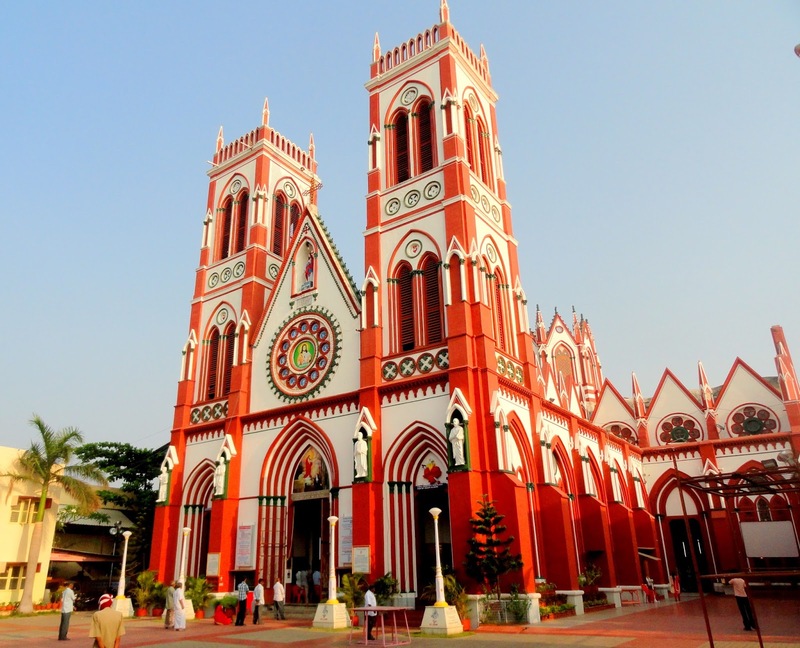 Located at South Boulevard, 2.5 km from the Puducherry Bus Station, this impressive Gothic structured building with the pointed arches and windows, high ceilings and 24 tall thin columns is one of the most respected and admired Catholic churches in Puducherry. This church has been accorded the status of Basilica and is one of the 21 Basilicas in India. It’s interiors are beautiful and the rare stained glass windows depict events from the life of Christ. Timing: 7 am to 6.30 pm. 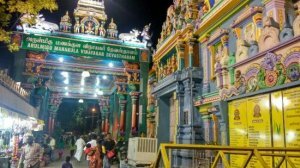 This popular pilgrimage site in Puducherry is an ancient famous temple dedicated to Lord Ganesha and located 3 kms from the Puducherry Bus Station, behind the Raj Nivas. The temple houses a grand idol of Vinayaka called Vellakkaran Pillai and has beautiful architecture. The Ganesha idol is mounted on a golden vimana/ chariot and this chariot is taken out for procession during Dussehra. The temple also exhibits a dancing Ganesha called Narthan Ganapathy. Festivals of Vinayaka Chaturthi, Brahmotsavam and many more are celebrated with great zeal, devotion and enthusiasm. The Chunnambar boathouse, located 6 kms from the Puducherry Bus Station, is very famous for it’s backwaters and boating facilities. 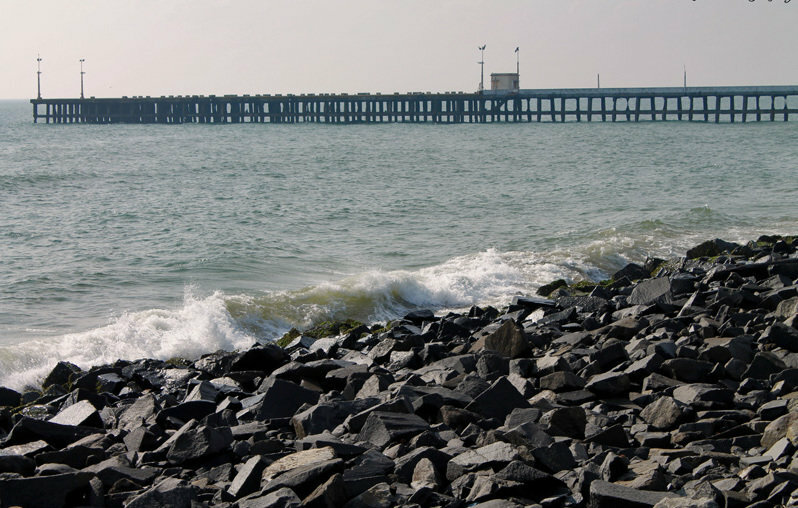 Situated on the Cuddalore main road, the backwaters start from where the Chunnambar river meets the Bay of Bengal. This venue is a very popular picnic spot and people thoroughly enjoy the boating options offered by way of sail boats, motor boats, speed boats, row boats, pedal boats and paddle boats. One can opt for water scooters too. This boathouse is also used to ferry people across to Paradise Beach but within specified timings. A resort, managed by the Puducherry Tourism and Transport Development Corporation at this location, offers various entertainment options like trekking, yachting, back-water cruises etc so that one can enjoy the marvelous view provided by the lush greenery and avian life. Interesting tree-top accommodations are also provided here which only enhances the fun. Timings: 9 am to 6 pm; Ferry to Paradise Beach – 9 am to 4 pm. This lake, spread over 390 hectares, is located between Puducherry and Tamil Nadu, at Osudu Village on the Puducherry-Villuppuram Road. Abundantly rich in flora and fauna, one can enjoy a diverse variety of aqua-fauna and avi-fauna here. Owing to the water, marsh, mudflats and several species of plants and trees here, this place attracts plenty of migratory birds. Declared as one of Asia’s important wetlands, this lake was accorded the status of a Wildlife Sanctuary by the government who is making efforts to promote and develop the place to one. Boating and bird-watching are the main activities in this scenic environment and the place is a photographer’s delight. 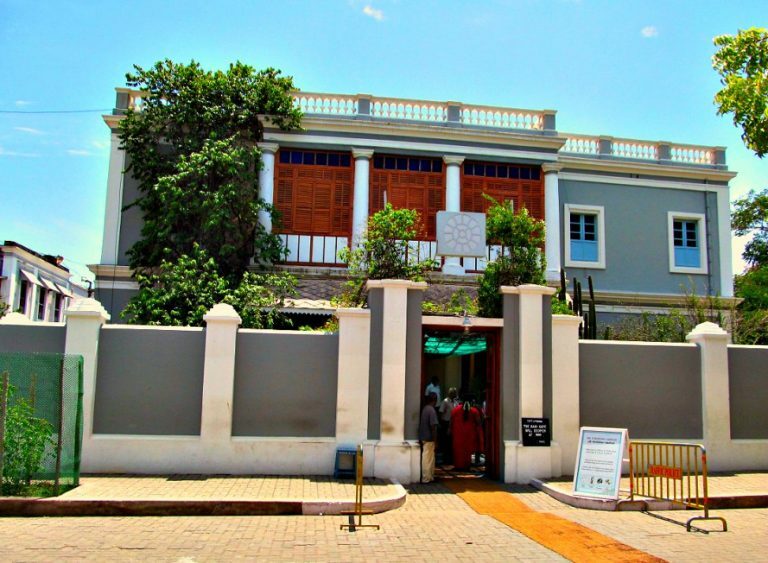 Situated in Bharathi Park, at a distance of 3 km from Puducherry Bus Station, this museum is most famous for its unique collection of sculptures and has the remains of archaeological findings from the Arikamedu Roman settlement. French furniture, terracotta figures, crockery, mirrors, guns, swords, temple lamps, handicrafts and several types of art and craft from different periods of time are preserved here. Specimens of Chola and Pallava art from Pondicherry and Karaikal are also displayed in the gallery. The museum also has a wide collection of snail shells collected from the beaches near Pondicherry.